Click the button below to add the Ultimate Metabolism Pack O to your wish list. Determined to lose weight and keep it off? Get on the road to success with the D'Adamo Personalized Nutrition® Ultimate Metabolism Pack programme for blood type O individuals! In addition to following the personalised diet and exercise guidelines found in Dr. D'Adamo's books, the products in the Ultimate Metabolism Pack pack jump-start your body's natural ability to burn calories, balance blood sugar, and block harmful lectins. 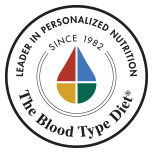 Deflect® O - A formula specifically for Blood Type O to help minimise lectin damage from the avoid foods you eat, and repair existing lectin damage with Dr. D'Adamo's revolutionary Deflect formula. Harmonia Deluxe™ - An alkalising beverage powder that supports the body's natural weight loss processes, and a delicious way to introduce more healthy greens into your daily diet. Harmonia Deluxe blends instantly into juice or beverage right for your type. Now in a larger size with a full month's supply of servings. El Dorado™- a unique combination of ingredients that boosts metabolism by stimulating your cells to convert carbs into energy so you more effectively burn calories (and lose that spare tire!). Take the first step on the road to optimal health today - the only thing you have to lose is the weight! Ultimate Metabolism Pack O is optimised for Blood Type O individuals.